It’s an all too familiar picture, a parent holding their breath, willing their child to sleep. The pattern never stops, the child doesn’t sleep, so the parents don’t either. I imagine many mothers and fathers have the same dream of a child who sleeps perfectly through the night without help, but then real life happens and we have to adjust. So, in the spirit of adjustment (and sanity) here is GrowBaby’s lifestyle guide to helping parents work through their sleep challenges. Age/Individual Guideline Parameters: Our suggested start time is not going to include an age, but rather a weight. The reason behind this? We have to ensure sufficient growth prior to asking a child to sleep through the night. A baby who weighs less than 18 lbs may still need nutriture and calories during the night. We suggest that moms who are breastfeeding and children who are over 6 months include GrowBaby’s recommended foods for better sleep. We also have to honor when a baby/child has an autism spectrum disorder or mental disability. In the case of any spectrum disorder or mental disability, there are more than likely multiple specialists included in their care. Please address the individual needs of the baby/child with all who are involved. You’ve tried it all; sleep routines, playtime outside, diet changes, and nothing helps. And, this is where questions arise for us surrounding poor sleep and diet changes. In order to make the inhibitory neurotransmitter serotonin, the co-factor to help make melatonin (which helps you sleep), you need B vitamins, vitamin C, magnesium, L-tryptophan, and balanced gut health. Why? The largest site of serotonin production happens in your gut, not your brain. Think of it like having two brains, your gut brain and big brain. You wouldn’t think twice about protecting your brain, but too often we neglect our gut brain, and imbalance, especially in mood and sleep can arise. Remove top allergens found in inflammatory foods like wheat, eggs, dairy, soy, shellfish, corn, peanuts, and sugar. Replace with naturally occurring digestive enzymes found in the fruits like papaya and pineapple, as well as mangoes, watermelon, blueberries, raspberries, and grapefruit, or vegetables like parsley, kale, broccoli, celery, cabbage, beets, and beet greens (2). Reinoculate with healthy bacteria by choosing fermented foods daily, like yogurt and kefir (if tolerated), bone broth, natto, sauerkraut, kimchi, pickles, and miso. There is good evidence showing that babies with colic have altered bacteria, and direct probiotic supplementation is effective in improving their stress response. Colic affects 8-15% of all babies. A study published in 2014 shows that Lactobacillus Reuteri supplementation in the infant reduced daily crying time, regurgitation, and constipation during the first 3 months of life (3). Repair by choosing nutrients that support gut health like L-glutamine (a non-essential amino acid): cabbage, beets, beef, chicken, and fish. Butyric Acid (made from fermented fiber in your large intestine): vegetables, fruit, butter. And the Omega 3 Fatty Acids EPA/DHA (essential fats): seafood, flaxseeds, chia seeds, algal oil, walnuts, and almonds. Rebalance stress by making sleep learning as much about your child as it is about you. Involve your child, and ask them to choose what relaxes and calms them. Parenting is about observation, but also inquiry. You may be older and wiser, but asking their opinion about what is working will continue to encourage healthy communication. Healthy stress is a crucial part of life. Focus should be on allowing your children to experience positive stress response “brief, and mild-moderate in magnitude” vs. toxic stress response “strong, frequent, or prolonged activation of the body’s stress response systems in the absence of the buffering protection of a supportive, adult relationship.” (4). Helping your child learn how to sleep is a positive stress experience and one that has a lifelong impact for their sleep hygiene. "Positive stress response is a normal and essential part of healthy development, characterized by brief increases in heart rate and mild elevations in hormone levels. Some situations that might trigger a positive stress response are the first day with a new caregiver or receiving an injected immunization." "Tolerable stress response activates the body’s alert systems to a greater degree as a result of more severe, longer-lasting difficulties, such as the loss of a loved one, a natural disaster, or a frightening injury. If the activation is time-limited and buffered by relationships with adults who help the child adapt, the brain and other organs recover from what might otherwise be damaging effects." "Toxic stress response can occur when a child experiences strong, frequent, and/or prolonged adversity—such as physical or emotional abuse, chronic neglect, caregiver substance abuse or mental illness, exposure to violence, and/or the accumulated burdens of family economic hardship—without adequate adult support. This kind of prolonged activation of the stress response systems can disrupt the development of brain architecture and other organ systems, and increase the risk for stress-related disease and cognitive impairment, well into the adult years." The American Academy of Pediatrics says that, “When buffered by an environment of stable and supportive relationships positive stress responses are a growth-promoting element of normal development. 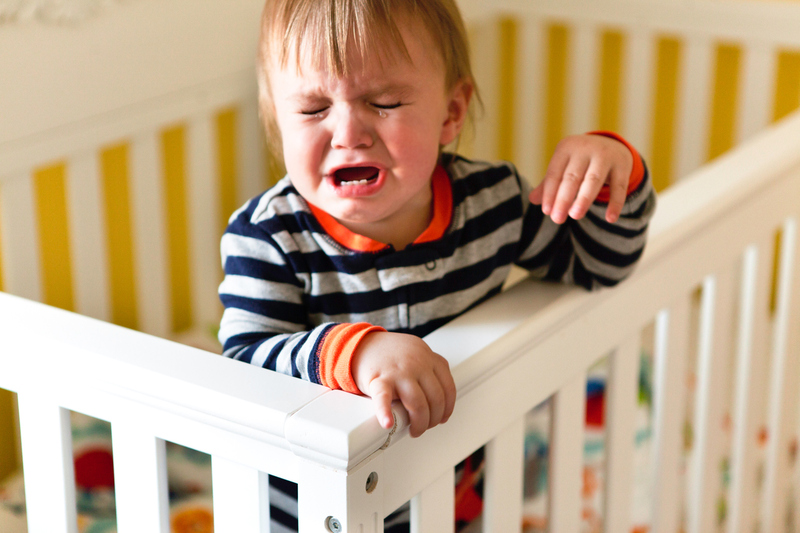 As such, they provide important opportunities to observe, learn, and practice healthy, adaptive responses to adverse experiences.” Some parents choose to co-sleep, use the cry-it-out method, or a mix. It is not our job to judge which methods of sleep training are the right ones for you and we want to move past the quick judgments that all parents can make, and put the stress of sleep learning in context. What can you do to support and respect your child as they learn to sleep through a positive, not a toxic, experience? Let us clarify our definition of cry-it-out, as it means different things for different people. Cry-it-out does not mean leave your child to cry for hours on end, but to allow your child a moment, an opportunity to see how they discover their own self-soothing habits in the context of a loving environment and parents who listen. Consistent encouragement, with frequent and loving check-ins in the midst of challenge will allow your child to cry, yet know that they are so loved, even when it’s hard. 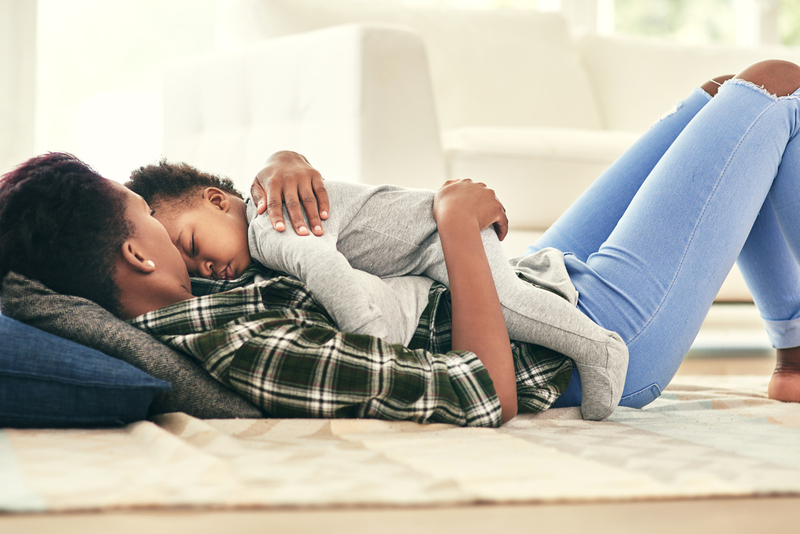 Instead of listing out ways to teach your child to sleep, our encouragement is this: Stress and crying is not always accompanied by increased cortisol (5), especially when paired with the comfort that you bring as a parent. The transition that you make with your child from co-sleeping to brief-moments-of-crying-it-out-with-loving-check-ins, to independent sleeping will bring challenges. But, remember this can be an opportunity to let your child experience stress in a healthy way, tears and all (paired with lots of hugs and kisses). Most babies calm with the quiet humming or soothing tones of their parent’s voice, feeling the beat of the parent’s heartbeat with contact of the chest. When you feel appreciation and gratitude for someone, and are close to one another (within 2-4 feet), your heartbeat and their heartbeat will begin to synchronize energy. Quiet appreciation and gratitude with closeness can calm your child. This is the classic overstressed-overwired-overtired triad. How do you solve it? 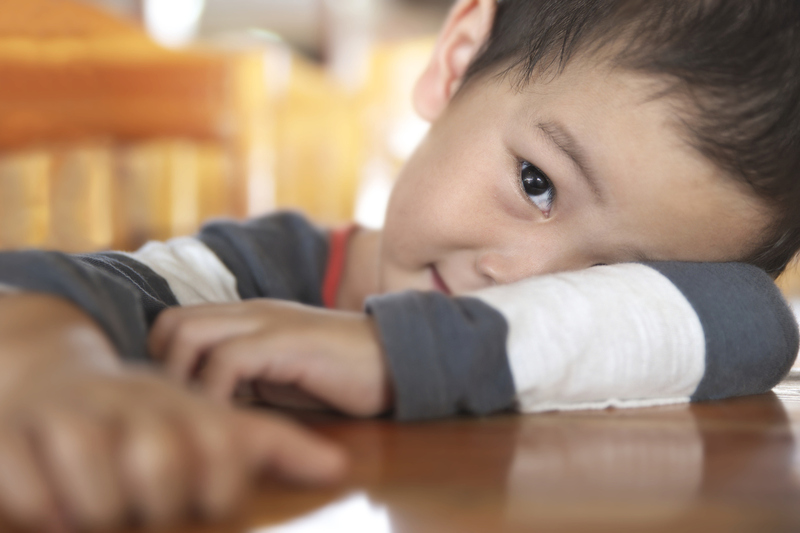 After all your hard work to get your child to sleep, it’s time for you to relearn to sleep. You come by insomnia honestly. After only 10 minutes of stress, your gut microbiome sheds, leaving you susceptible to immune suppression and low serotonin production (The more severe the stress the more adrenaline affects your intestinal environment and the harder it is to maintain healthy bacterial balance). Just like we addressed foods to improve gut health for your child, we encourage you to do the same for yourself. Addressing necessary co-factors will improve your sleep, helping you to stay in a deep slumber. There are certain foods that help you make inhibitory neurotransmitters. Inhibitory neurotransmitters tend to be calming. Choose foods that help you make serotonin and GABA (made from glutamic acid), whose primary roles are to reduce excitatory neurotransmitters (like dopamine) from over-stimulating your body. We’ve covered serotonin rich foods, but GABA rich foods are abundant in diet as well. Some GABA rich foods include: vegetables--specifically tomatoes, almonds, walnuts, and lean protein. Why did we not include GABA rich foods in the list to improve children’s sleep? Because in the mature brain GABA is an inhibitory neurotransmitter, but in the developing brain it is an excitatory neurotransmitter (6). L-Tryptophan: An essential amino acid, sits as a top co-factor toward the path of melatonin and sleep. Vitamins B6, folate (vitamin B9), vitamin C, and the mineral magnesium work to produce L-tryptophan. Sometimes cutting straight to the co-factor is the problem. You may be missing the supporting parts. Choose foods that are high in B vitamins like dark leafy greens, brewer’s yeast, squashes, cruciferous vegetables, bell peppers, and lean protein. Choose foods that are high in vitamin C like citrus, bell peppers, parsley, romaine lettuce, pineapple, melon, strawberries, and kiwi. And finally, choose foods that are high in the mineral magnesium, which not only improves cellular energy, but encourages relaxation. Some magnesium rich foods include: spinach, squashes, sesame/flax/pumpkin/sunflower seeds, cruciferous veggies, and green beans. Melatonin: A hormone produced by the pineal gland—begins around 9 pm every night and continues to be produced for about 12 hours. Fondly called the “dracula hormone,” melatonin is produced best in a dimly lit environment after 9 pm. Too much light at night or consequently too little light during the day will alter production. Human breast milk contains some melatonin and, in addition, a pronounced circadian rhythm in melatonin content in human breast milk has been reported (7). Melatonin looks like it may also play a role in a healthy pregnancy. One study suggests low levels of melatonin help identify women at risk of a pregnancy complication, preeclampsia (8). Supplementation is safe. Current research shows improvement in falling asleep faster and staying asleep, but is not as effective for increasing overall hours of sleep during the night. Herbal therapies have known associations with the promotion of sleep and are often safer than a pharmaceutical counterpart. We suggest the use of herbs as part of your sleep hygiene routine. If you are interested in using herbs while breastfeeding, check with your healthcare provider. The following are the herbs most commonly known to promote sleep and decrease anxiety: Hops, Lavender, Chamomile, Lemon balm, Motherwort, Passion flower, Kava Kava, Skullcap, and Valerian Root (9). Chamomile, lemon balm, and lavender are safe choices while breastfeeding. You can find individual or combinations of these herbs in teas that are praised for sleep promotion. With consistency and balance, you will be able to find the right answer for you and your family. Remember that sleep is a nutrient and requires a consistent pattern to create the habit. We have to choose to nourish our bodies with it, just like we choose and gain nourishment from whole, real, and healthy food. Be willing to adjust and then be consistent. You will find what is right for you and your child.